"The term 'lost session' has been overused, but it is certainly appropriate for the new release by iconic pianist Bill Evans ..."
"Five Stars ... another brilliant achievement ... a terrific unreleased recording ... there is a bonafide excitement for a 48 year old Bill Evans recording finally getting released ... the acoustics are excellent ... you can hear the vibrant attention to detail on DeJohnette’s cymbals and Eddie Gomez’s full-bodied double bass. Evans’ Steinway is crystalline. When the chords swell, the tonal expansion is palpable. The quieter moments are delicate, with richness. The overall mix is excellent ... a valuable addition to any jazz collection!" 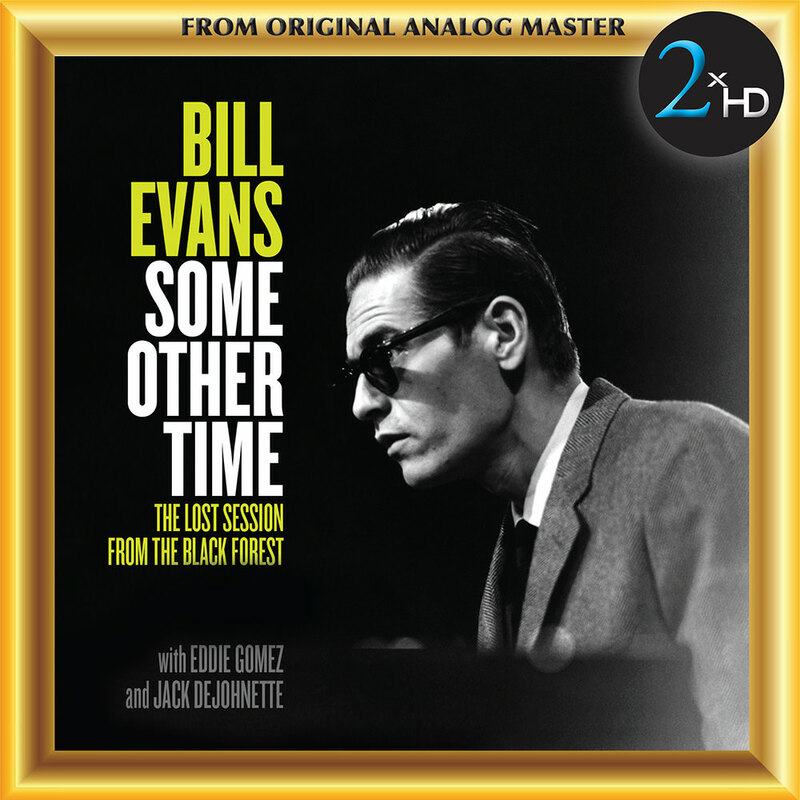 This double album includes 93 minutes of never before heard captivating studio recordings by pianist Bill Evans in solo, duo and trio settings and is only the second release (and the only studio album) to feature the short-lived Bill Evans Trio with drummer Jack DeJohnette and bassist Eddie Gomez. Recently unearthed, these tracks were taken from a session in June 1968, only five days after the trio's triumphant performance at the Montreux Jazz Festival. Recorded by Hans Georg Brunner-Schwer (HGBS) and Joachim-Ernst Brendt in Germany, these songs were originally intended for the legendary MPS label but for some reason were never released. It’s a remarkable document of an under-represented period in the career of one of the icons of jazz. "There was big excitement about us going to the studio. This record represents a time and space where (Evans) was exploring new approaches to standard repertoire rhythmically and harmonically." For the 2xHD transfer of this recording, the original 1/4”, NAB master tape was played on a Nagra-T modified with high-end tube playback electronics, wired with OCC silver cable from the playback head direct to a Telefunken EF806 tube. The Nagra T has one of the best transports ever made, having four direct drive motors, two pinch rollers and a tape tension head. 192 kHz/24-bit transfer was done using MSB Platinum Studio ADC plus. DSD was done using Merging Horus/Hapi and dCS Vivaldi clock. DSD2 was done using Ayre QA9pro .